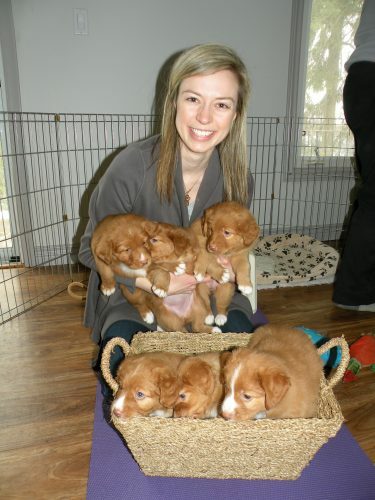 We breed our Tollers on a very limited basis and take very careful consideration into the placement of each puppy. 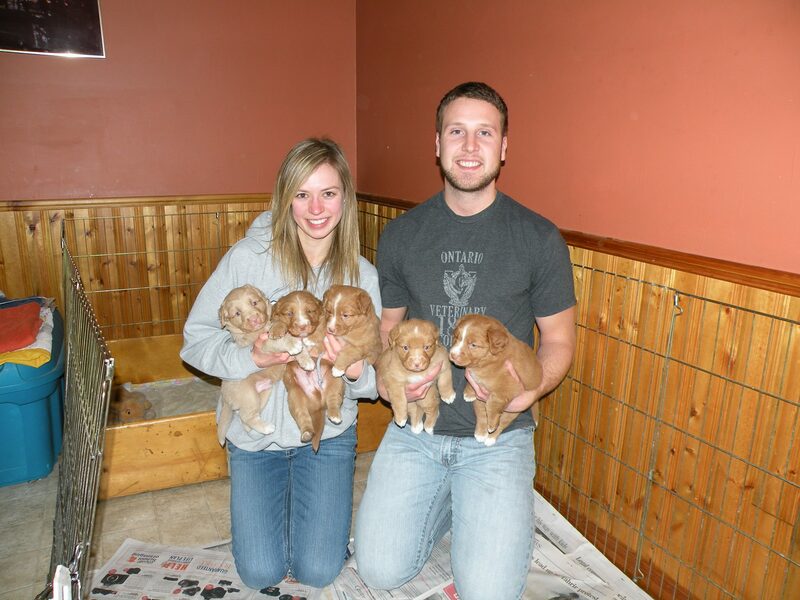 All our dogs are first and foremost family pets, and we expect the same for all Dunfield puppies. We spend hours studying pedigrees and examining the health and structure of each dog, to help us determine the best match for our dogs. 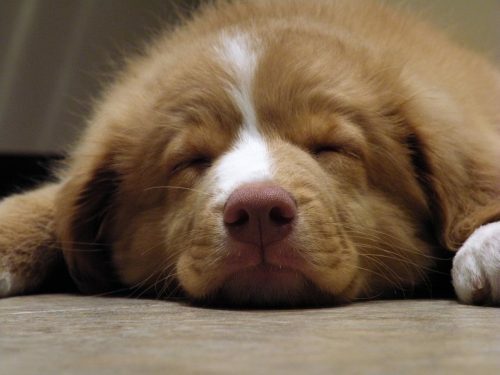 Our dogs are never bred before the age of two, and have undergone extensive health and genetic testing prior to being bred. 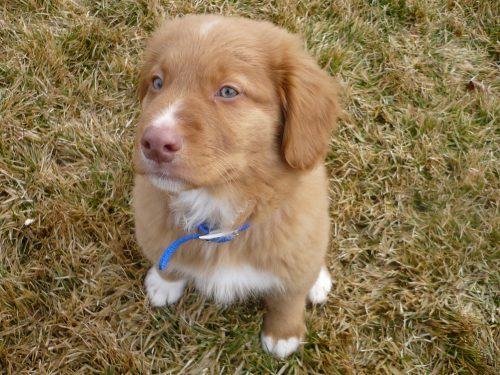 Before deciding that a Toller is right for you, please visit the following link: http://toller-rescue.org/10reasons.pdf. Tollers are not small Golden Retrievers, and are not the breed for everyone. They do best when they are mentally and physically stimulated. 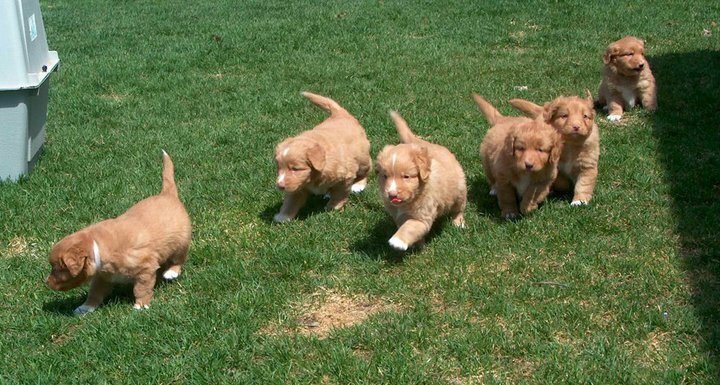 Please contact us for more information on Dunfield Toller puppies!